Tom Thomson (the author, rather) will be doing a reading at the Brockville Public Library on Thursday, June 14th, 2018 starting at 6:30pm. 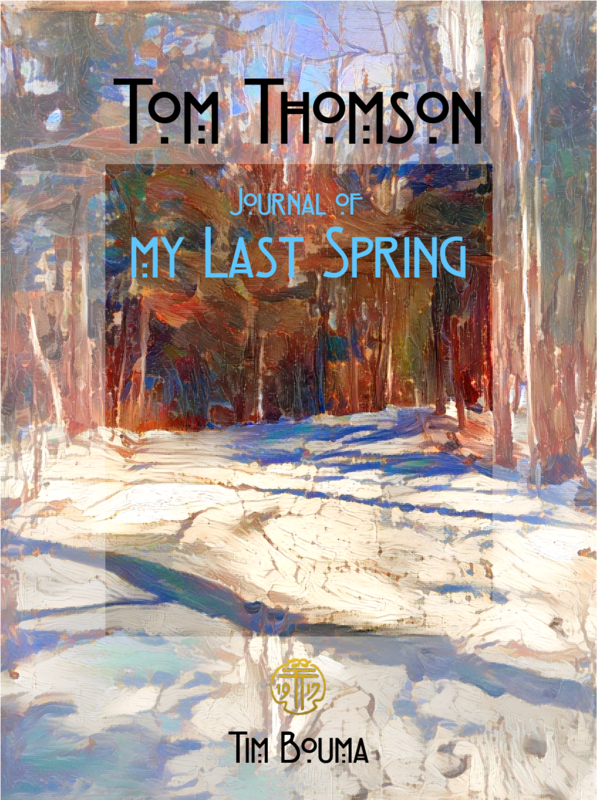 Please come and join the author for a brief presentation on how the book, Tom Thomson: Journal of My Last Spring , evolved from a social media project to a real book. The presentation will follow with a Q&A session on topics ranging from art, Tom’s final days, the mystery, and what Tom gave to us as Canadians. Finally, if you are so moved, you can purchase a signed and stamped book from the author for $25.oo cash, or credit card. or use the map below. On Friday, June 1st, 2018 I’ll be in Huntsville at the Algonquin Theatre for “Show Up Early (6:30pm) to Meet Authors” as part of the Paddling Film Festival. I will be with other fine authors, Geoff Taylor and Hap Wilson. On Sunday, June 3rd, 2018, I’ll be in Stittsville, for the Arts in Park from 12:00pm-5:00pm. On Thursday, June 14th, 2018, I’ll be in Brockville, for the Meet The Author at the Brockville Public Library at 6:30pm. Please join me if you can. My feature-length interview (48 minutes) on Tom Thomson Journal of My Last Spring with Claire McCormack of Bayshore Broadcasting in Owen Sound. Listen below. Enjoy! Owen Sound Book Signing Event for Tom Thomson Journal of My Last Spring! Tom Thomson will be in Owen Sound! Please come visit (and buy a book!) In addition to the signing, the author (that’s me!) plans to give a 20-minute talk at 12:30pm, read a few short passages and hang around to talk about all things Tom Thomson. The event is FREE! (but I hope you buy a book), graciously hosted by our friends at the Ginger Press Bookshop. For a taste of what to expect, read the feature article about me channeling Tom Thomson in the Ottawa Citizen. I hope you can make it. If you can’t don’t worry. You can always drop by later and buy the book at the store. I’ll also be holding more events around the province and country, and, if the spirit moves me, I will return to Owen Sound. Calgary Book Signing Event for Tom Thomson Journal of My Last Spring! Tom Thomson will be in Calgary! Please come visit (and buy a book!) In addition to the signing, I plan to give a 20-minute talk around noonish, read a few short passages and hang around to talk about all things Tom Thomson. The event is FREE!, graciously hosted by our friends at the Owl’s Nest Book Store. I hope you can make it. If you can’t don’t worry. You can always drop by later and buy the book at the store. I’ll also be holding more events around the country, and, if the spirit moves me (and the airfare is right), I will return to Calgary.